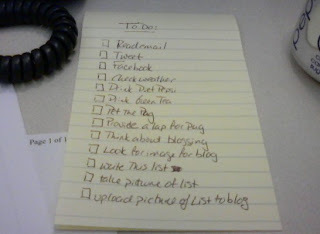 Seems like everyone has some version of a summer to-do list but since I have this one thing that needs to get done this summer, I thought it made sense to write a Post-Dissertation To-Do List. And here it is. The items are in no particular order, just the order they popped into my head. Minus the water features, otherwise known as mosquito breeding grounds. Perhaps under a new name, how exciting. It's the little things, I tell ya. Oodles of stuff -- baby stuff, my stuff, random stuff, stuff-stuff -- piling up. Ok, so I've already been doing some of this, this summer. I have to stay sane somehow. It'll be great to be able take some time together where I'm not even the slightest bit distracted by the everlasting, looming project. Bet that took you by surprise. Very much outta my comfort zone. She deserves some one-on-one attention from us -- at least that's what she's told us. Not as easy as it sounds. I need to learn more about the game first and all the lessons around here are for kiddos. This is one of the most motivating items on this list. Have had some ideas bouncing around for awhile. Just need the time to pin them down. Something I would love-love to do, or at least be able to focus on it. Ah, focus. That's what's been shifting so much over the last five years. So much of what has happened in the last half decade was never on a to-do list, but I'm so glad it was done. The list was great, but what I even enjoyed more was the fact that your handwritting hasn't changed in the 20 or so years it's been since I've seen it. Truly amazing! I could have picked it out of a line up! An impressive list. I need to do this. My lists are the worst. Grocery store. Laundry. Clean. Do it again. I need loftier lists. Nicholle, So you're saying I have the handwriting of a 5th grader : ) I love that you remember that so well. Molly, making the list public helps you feel more obligated to tackle things on it. That said, I'm a notorious list maker ... wish I was a better done-maker.